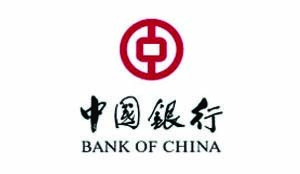 BANK of China (BoC) Zambia Limited will be celebrating its 20th anniversary of operation in Zambia this year, and has set itself a mission of being a bridge between the People’s Republic of China and Zambia. Established in 1997 in Lusaka with another branch in Kitwe, BoC is the first wholly owned subsidiary of BoC in Africa, and the first Chinese financial institution in Africa. BoC managing director Zhou Jianjun said Zambia’s economic outlook was bright, coupled with a peaceful atmosphere the country was endowed with, which were significant factors in raising more investor confidence not only from China but worldwide. Mr Zhou said in a statement yesterday that relying on its significant influence and reputation, apart from being a commercial bank, BoC was attracting more Chinese investment to Zambia. 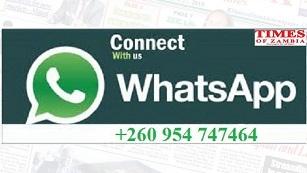 He said the bank, ranked 5th on total assets among the 17 banks in Zambia in 2016 together with its Group, had in the last few years granted loans of billions of US dollars to mining, energy, infrastructure, public utilities and sanitation. Mr Zhou said the financial institution was facilitating bilateral economic and trade cooperation to boost the Zambian economy as well as job creation. It also partnered with the Zambian Mission in China to set up a talent pool of Zambia-China international students. “Whenever there is a vacancy, the bank will first go to this talent pool to choose qualified young graduates to work with the bank. In this way, the bank helps to ease the tense and pressure for the graduates,” Mr Zhou said. The bank provides corporate and personal services, including credit facilities, deposits, account, international settlement, trade finance, exchange services and the Chinese currency RMB. Vice-President Inonge Wina, while attending the Zambia-China Week in China last month, hailed BoC and awarded it a certificate of appreciation for its contribution to Zambia’s development. Since 2016, BoC had organised five delegations consisting of more than 100 Zambian Small and Medium Enterprises (SME) companies to China for SMEs’ cross-border match-making forums where the entrepreneurs met their counterparties for business opportunities. Mr Zhou said BoC understood Zambia was starting the construction of economic development zones of which China had successful experience. In this regard, he said in 2016 BoC provided a platform of communication by facilitating a Government delegation of six directors from the Ministry of Lands to China’s on-site visit to the economic zones.